“Compassion in Action” is a 7-day-lasting international training course on building communities based on empathy and well-being. The training course is targeted at youth workers, teachers, facilitators and community leaders. The Austrian Civil Society Organisation “COOBRA – cooperativa braccianti” is happy to invite you to apply for participation in “Compassion in Action”, a 7-day-lasting international training course on building communities based on empathy and wellbeing. 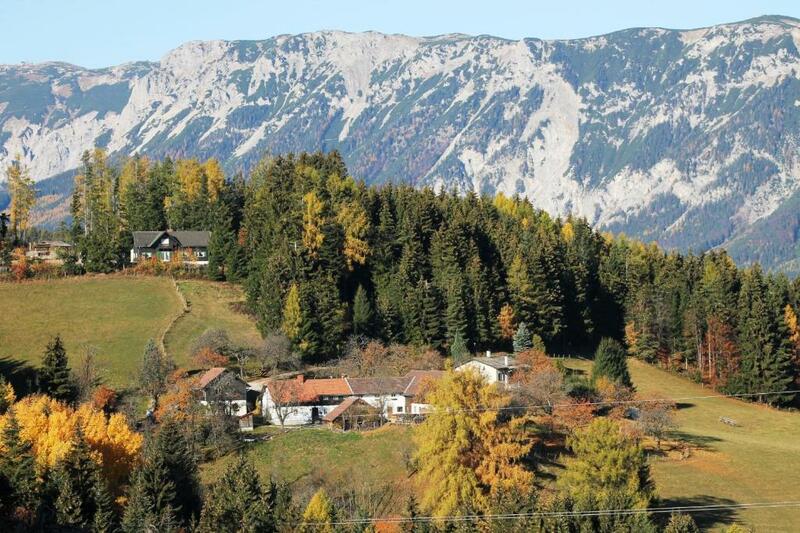 “Compassion in Action” is taking take place from January 22nd – 30th of 2019 (including travel days) in Payerbach, Austria, a beautiful village in a mountainous area not far from Vienna. The training course is designed for youth workers, teachers, facilitators and community leaders, the important criteria is that they be directly working with and for young people on a daily basis. Funding is provided by the Austrian National Agency for Erasmus+ Youth Programme, Key Action 1, Mobility of Youth Workers. The main aim of the project is to create a foundation to build more caring, supportive and healthy communities by providing safe space for the participants to connect with their emotions, share experiences, develop positive attitudes and acquire tools and strategies to respond to the challenges of social issues effectively and with compassion. Through methods such as dialogue, group and self-reflection, bodywork, meditation, stillness, movement, dance and play we will journey into our personal stories and experience, learn from each other, exchange and identify practices, and create a shared understanding of what is necessary to bring more trust, support and empathy in youth work. There will also be sessions on designing and planning concrete follow-up and dissemination activities to ensure the wider impact of the project. Throughout this course, participants will develop greater awareness of their bodies, feelings, emotions and inner processes to build safe, empathic and authentic connection with youth based on trust and openness, therefore building strong foundations to create healthy, caring and supportive communities. During the 7 days, participants will gain more self-awareness, develop their capacity to communicate in compassionate and non-violent manner, lead from the heart and mind alike, as well as learn to motivate and bring out the best in themselves, the people they are working with and communities they reside. Participants will also gain tools and strategies how to improve and maintain wellbeing thus contributing to developing resilience in themselves and young people they work with. Wellbeing as a core value will be basis of the program as well as subject for participants to explore and see opportunities to create processes and safe spaces for wellbeing to be fostered and flourish in their home communities. – ensure the wider impact of this project by implementing concrete follow-up activities and providing opportunities with and for young people in their regions and countries. Ideally, a special focus should be put on reaching marginalized youth and avoiding radicalization by promoting and providing empathy, belonging and well-being. In any case, it will be necessary to provide proof of the implemented dissemination, transfer and follow-up activities. Thanks to funding provided by the Erasmus+ programme through the Austrian National Agency, during this period all costs for food, accommodation, local transport and course materials are covered. A participation fee of EUR 50 is to be paid in cash in Austria. Furthermore, you are in charge of arranging your own insurance (health, accident, liability) for your travel/stay in Austria.